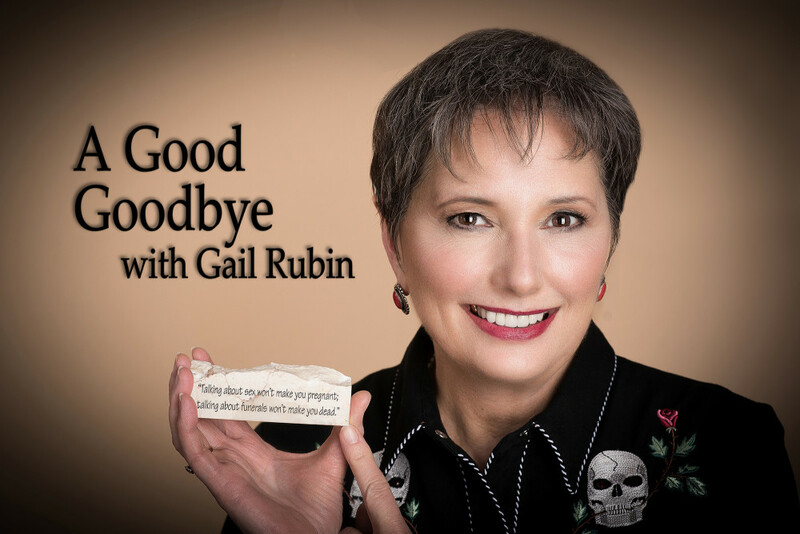 Gail Rubin, The Doyenne of Death®, at Congregation Albert Cemetery – Live Long and Prosper! At A Taste of Honey, the 12th annual Jewish learning event hosted by the Jewish Community Center of Greater Albuquerque, Gail Rubin presents on “Jews and Cremation.” The U.S. cremation rate is climbing, and Jews – who historically bury – are part of that rising rate. Examine the “why” of Jewish burial and cremation, the “how” of the cremation process, and “what’s next” for Jews considering cremation. The full range of presentations at A Taste of Honey runs from 10:30 a.m. to 3:00 p.m., starting with a keynote by Gary Rosenblatt, editor and publisher of The Jewish Week of New York. Gail’s presentation on Jews and Cremation will take place during Session A, after the keynote, from 12:30 to 1:30 p.m. The event takes place on Sunday, February 1, with registration open at 9:30 a.m. Yes, that is Superbowl Sunday, but the event will be done well before kick-off. Registration is $25 before January 23, $30 after January 23. Click for more information at the JCC’s website.